Admittedly, the move is not monumental. Nevertheless, it indicates a willingness by government officials to shift the auto industry away from fossil fuels. The province’s Environment Minister, Richard Brown, was behind this particular move. Consequently, years of worry motivated the decision. 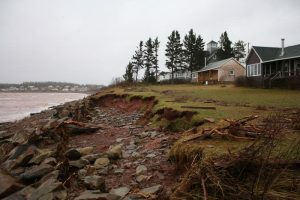 Much of the province’s shoreline is threatened by climate change. Granted, four electric vehicles make little difference to rising tides. However, they represent a small step toward warding off coastal erosion. Its already affected many P.E.I. houses. As a result, Brown works closely with the federal Environment Minister to introduce more eco-conscious legislation. Most notably, the government will install more charging stations before summer. Additionally, the taxi industry could receive EVs from the government. Showcasing plug-ins is the reasoning. 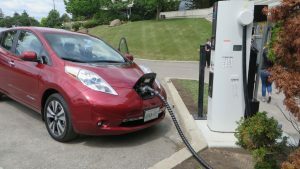 Inevitably, more exposure to electric vehicles will increase adoption rates. P.E.I. isn’t a minority when it comes to being affected by climate change. Moreover, many governments and corporations invest billions in clean energy technologies. Chief among them is the electric vehicle. Evidently, transportation is the world’s largest contributor to climate change. This explains why the United States has labeled lithium a resource central to national economic health. Lithium-Ion batteries power everything from Smartphones to electric vehicles. Consequently, South America’s Lithium Triangle has been targeted by many governments. These include China and Germany, who’ve invested heavily in Argentina, Chile, and Bolivia. P.E.I. residents hope investments like these will help secure their shorelines.